Shridhar is ResellerClub's business head and leads all business activities and initiatives. He has been steering the team since inception and has helped the company to grow from a start-up to the world's most popular platform for domain names. A strong believer in leading from the front, Shridhar's hands-on-approach has given him a keen insight into the Web Services industry. Resellerclub platform powers web professionals across the world with a set of products that fit right into their business. From domains names, shared hosting, servers to security products.They proprietary platform - orderbox has all the right features for professionals to run their business - manage products, billing, transactions and their customers. 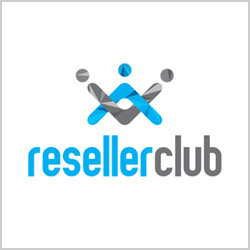 ResellerClub makes selling Domains, Hosting and Addons effortless. Selling over 800 products is super-easy with these amazing features. Easily Manage the Customers and Sub-Resellers. Free Fully-Customizable Storefront to Sell. (DEMO). Fully Secure with 2 Factor Authentication. SMS Updates about customers Account. Marketing Collaterals to Help customers Sell. Resellerclub’s have designed and build their own infrastructure - prioritizing stability, scalability and security. Their state-of-the-art datacenter boasts of the very best HVAC architecture, cutting edge networking switches and of course, the best, latest hardware around. All of these together contribute to about 99.99% uptime guarantee. They are committed in providing with top quality support and work hard to ensure the best for customers. Their support team is available 24/7 on email, phone and chat.To honour their commitment, they have put together a team of tech enthusiasts, who are well trained by system administrators to provide customers with top notch support.They are heavily focussed on hiring the best talent out there and preparing the team with processes and tools to troubleshoot issues and find resolutions with fast turnaround times. I am happy with the service provided by ResellerClub. Their hosting price is also reasonable and easy to afford by everyone. They are the best for beginners as well as professional. Their customer service is also very good. ResellerClub CPanel is the best. My business is running well because of their services. Reseller Club is a headache. I never had a good time from the day I started hosting with them. Their Tech Support staff are not at all helpful and hung up on me several times.